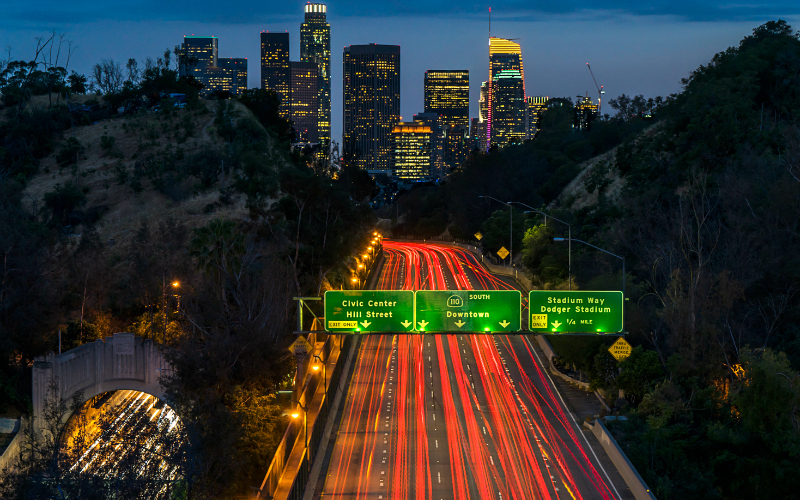 This Is When to Leave to Beat Memorial Day Traffic in L.A.
By this point you’re probably eagerly looking forward to the Memorial Day weekend–but so is everybody else. That means thousands of Angelenos hitting the highway all at the same time, which could mean starting your summer off a real Memorial Day traffic bummer. If you’re worried about when to leave to beat the worst of the holiday traffic, we may have found some advice. Auto experts AAA and their research partners INRIX have released a report with their projections for this weekend’s car travel trends. It predicts that some 42 million Americans will be traveling for the long weekend, a jump of almost 14 percent from just last year, and the most in the last 12 years. For Los Angeles, they’re guessing that the worst traffic jams will be on the freeways from 3:30 to 5:30 on the afternoon of Friday, May 25. Assume that any trip you take during that period could be 1.9 times longer than the same trip takes you under normal conditions. And if your destination happens to be LAX, you might want to build in even more time, because the airport is expected to be among the busiest in the country. Next articleWhy Are Some of L.A.’s Curbs So Damn High?